Two weeks ago, my partner and I attended the Health and Beauty Wellness Expo at World Trade Center (WTC). I was actually on the look out for nail polishes, nail salons, and other nail related products and services. As we checked the booths, we came across one with the name Strip It! I had to stop, and consequently, so did my partner. Haha! I go to a salon for my regular waxing needs. I've tried a few hair removal creams but none gave me the satisfaction of having my hair removed by a professional. Luckily, I stumbled upon Strip It at the expo. The owner, Arlette Alvarado was very accommodating to answer all my questions. Strip It is a hair removal cold wax. It's ready to use without having to heat it and is all natural sugaring. No need to go to the salon and spend so much on waxing services! I just have to try this. I bought a 350g kit for P250. It normally retails at P295. But since I bought it during the expo, it was discounted. The kit includes a wooden spatula, reusable cloth strips, and an instruction manual. According to Arlette, Strip It started out as a school project which after turned into a business venture. To date, Strip It claims to be the best ready-to-use hair removal sugaring in the Philippines. Sugaring is also known as Egyptian sugar wax. It is all natural, water-soluble, and hypoallergenic. Good for me and to all those who have very sensitive skin! Strip It has moisturizer that promotes soft skin and calamansi that actually lightens the skin. The cold wax is really thick. Using Strip It offers 50% less pain and discomfort as compared to the usual waxing procedure or other waxes because of the sugaring content. 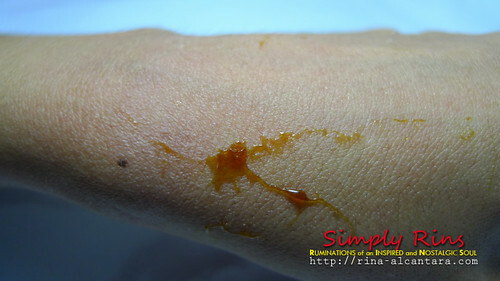 Sugaring does not stick to your skin but tightly adheres to the hair. I decided to test it in my hand first to test whether or not I'll have some allergic reactions to Strip It. My first attempt using the Strip It hair removal cold wax. It's important to apply the wax in the direction of your hair growth. 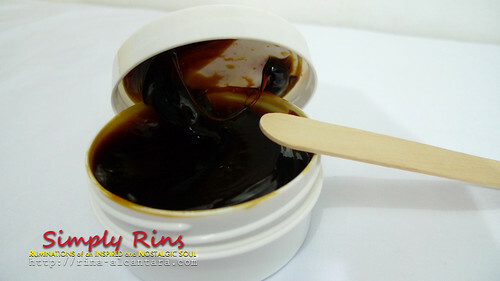 This will highly increase the adherence of the sugaring cold wax to the hairs. The cold wax was a bit difficult to apply. On my 1st attempt, it slightly pulled the skin and consequently, the hair, making the application a little painful. To remedy this, I suggest soaking the Strip It container in a warm water for about 5 minutes to allow the substance to loosen its consistency. I found that warm water is sufficient. No need for boiling water. This will make the application more manageable and less painful. You will also be able to save on your wax consumption since you'll be able to apply a thinner layer on your desired area. Remember to firmly press down the cloth strip where you applied to cold wax to make sure you'll get most of the hair out once you stripped it. It is advised to strip opposite your hair growth. It's advisable to apply Strip It cold wax in small patches because it's easier to work with that compared to larger patches. It's also less painful if you wax in small patches. 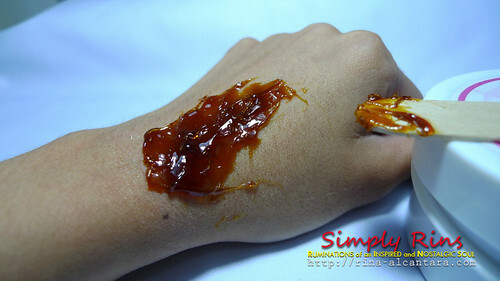 If possible, stretch the skin where you applied the wax before stripping. This will result to having more hair removed and thus leaving you with only a few stubborn hairs to pluck. 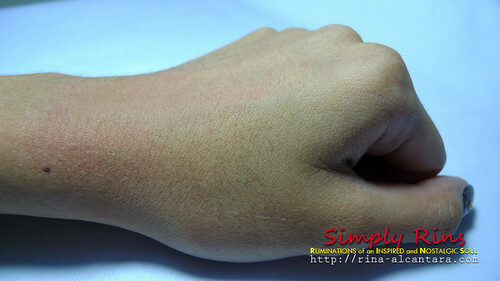 Redness and bumps after waxing is a normal reaction. To remove excess wax, just wipe with any damp cloth. The wax is water soluble so it will come off easily. The wooden spatula and the cloth strips are reusable. After use, soak them in water until the wax dissolves. Let them dry before using again. If you'd like to dispose of the cloth, you can use katya or cotton cloths as substitutes. Before applying the wax, make sure the desired skin area for waxing is clean. Wash your hands as well. This will prevent infections. DO NOT wash, use alcohol, creams, astringent, or deodorant within 6-8 hours after waxing. If you're going to use it in your underarms, a 24-hour duration before applying anything is recommended. After waxing, my skin didn't feel itchy or had any unwanted reactions. Great information you have shared about waxing cream.I also use waxing cream to remove hair as it not only remove hair but it also remove dead skin , black heads, and hair. If you want to know more about waxing cream then visit numbing-cream. There are always new technology in the skin care world. I think epilation is way more better than waxing.